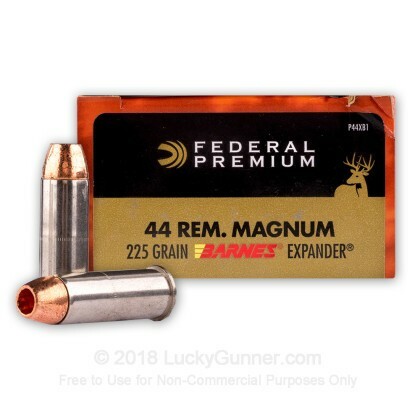 This .44 Magnum ammunition from Federal's Vital-Shok is a hunting load designed to bring down boar and deer at close range. 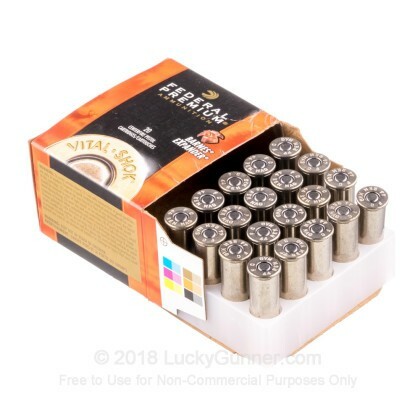 Each cartridge in this box of 20 fires a 225 grain Barnes Expander bullet at a muzzle velocity of 1,280 feet per second. 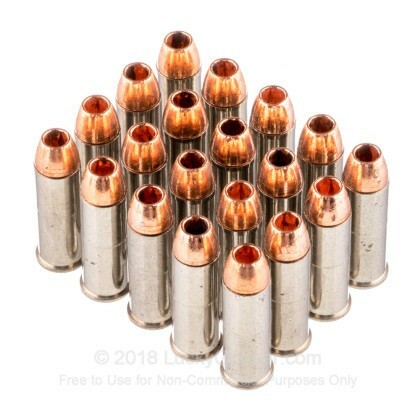 Expander bullets punch through thick hide and bone and produce six petal expansion for a quick, clean kill. 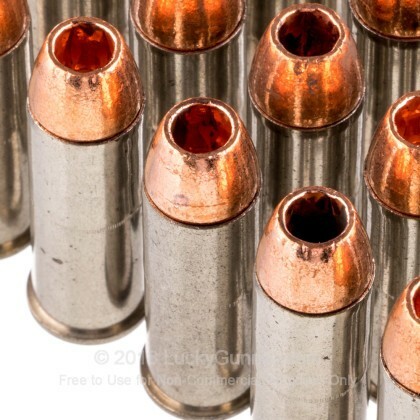 These rounds are powerful but not advisable for self-defense due to their high recoil. They're much more effective for hunting due to the relatively unlikelihood of having to make multiple shots quickly. 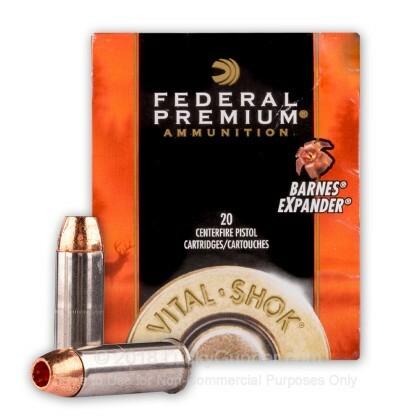 Federal Vital-Shok ammo is loaded in Anoka, Minnesota and uses non-corrosive Boxer primers and brass cases. 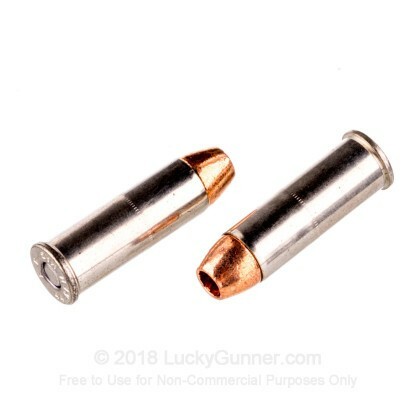 Barnes bullets are made in Mona, Utah.